Set on the peaceful backwaters of Kabini Dam, Red Earth Resort welcomes guests with its beautiful gardens, an outdoor pool overlooking the serene backwaters and 20 exclusive cottages spread over ten acres. The verdant landscape punctuated by glimmering pools of water and picturesque farmland earmark Red Earth Kabini as the ideal getaway. It’s rich biodiversity and conservation programmes have earned Kabini a place among the world’s top five destinations for viewing wildlife. The weather is sublime throughout the year. The hotel is well maintained, decently designed and is a house to all modern services. The mission behind each effort is to turn each stay into an unforgettable one. 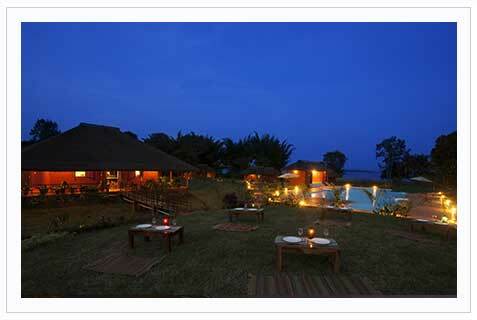 evening, Guided nature walk, Bullock cart ride, Village walk, Bird watching And Swimming Pool. Child between 08 to 12 years – Rs.2,292/- per night with an extra mattress(Inc Taxes). Extra child below 08 years – Rs.573/- per night with an extra mattress(Inc Taxes). Extra Adult is charged Rs.4,011/- per night with an extra mattress(Inc Taxes). For Special rates please call us. You will reach hand-post (A junction with a hand post signal) Drive straight through on the road to Bavali. The road will fork in two directions – stay to the right towards Antharsanthe. After the Antharsanthe police outpost (some barricades on the road usually) you will see a board for Hosmalla village. Follow this road towards the left. Pass Hosmalla Village and carry on for another 3 kilometres to find the resort on your left.